In a world of rampant terrorism, fear dominates the agenda and consequently, the individual privacy of citizens are being questioned. Should we trade our rights for alleged safety? National security agencies promote the discourse that they need more means, both financial and in terms of jurisdiction, in order to ensure a safer society for individuals. While that may be true, the transfer of power is likewise an imposition on citizens’ individual rights. The question of individual privacy is a conundrum because we want the authorities to catch terrorists and criminals, but we also want to be able to communicate freely without state interference into our private lives. This article will highlight potential pitfalls in the dilemma through a case study of the instant messaging service Telegram and the company’s current dispute with the Russian authorities. Questions regarding individual privacy and how to regulate are worldwide and ongoing. Countries such as the US, UK, France, Germany and Switzerland have already adopted legislation enhancing the capabilities of their national security agencies within surveillance and the current trend indicates that more surveillance of citizens is likely in the future. As of now, however, people have the opportunity to deny any unauthorized snooping through the usage of encryption and encrypted messages. For obvious reasons, terrorists are known to use encrypted messages for communication when planning and executing attacks. In consequence, that window of opportunity for privacy may be closing as the providers of tech services and privacy software i.e. the international giants such as Google, Facebook and Apple increasingly have come under governmental scrutiny as their role and accountability are being evaluated. The Apple-FBI dispute last year in the US is a clear example of this. Investigating a mass shooting, the FBI wanted Apple’s help to unlock an IPhone by building-in a backdoor in their software. Apple refused and the FBI dropped the case before a court settled the dispute. Nevertheless, a court ruling would have set a precedent for other countries to follow. No common framework on how to treat encryption is yet in place and therefore every case is defining on how to treat encryption henceforward. Individual privacy in Russia is a relative term and it seems that the Russian authorities view all information as under the sphere of scrutiny from the security agencies. The surveillance system SORM is constantly monitoring phone conversations, internet traffic and social media. All is within the grasp of the security agencies, should they decide it worthy of their interest. The system is not, however, all-encompassing and it cannot monitor encrypted messages – yet. The anti-terrorism law-package known as the ‘Yarovaya-law’ was adopted to fill in the blind spots. The law requires all information distributors to store both the metadata and actual data of all digital communication for the intelligence agencies to access upon request. The information distributors are furthermore obligated to provide the necessary coding or decryption mechanisms in order to bypass any encryption without a court order. The features concerning decryption came into force 1 July 2017 and the storage demands are expected to come into force in October 2018. The initiatives are extensive and bear no advantages for the information distributors, who in consequence do not want to comply. It is expensive to store the data and the ensured privacy through encryption becomes invalid. 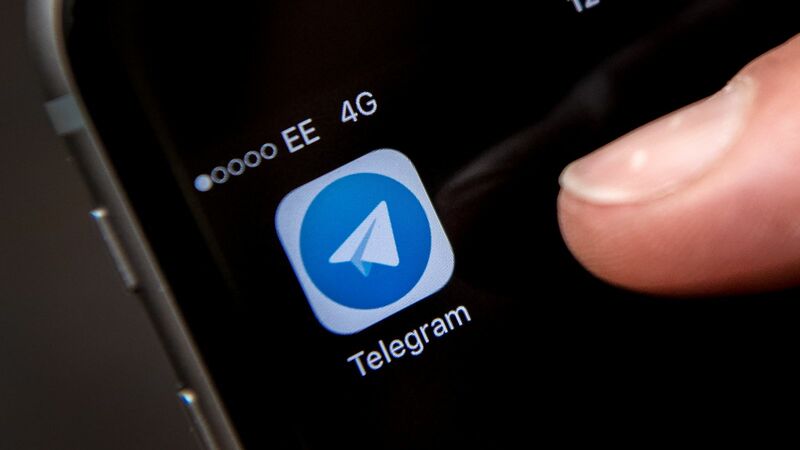 The messenger service Telegram seems to be the first target in the battle for compliance of the Yarovaya-demands (which is ironic as Telegram was officially registered as an information distributor only in late June 2017 due to pressure from Roskomnadzor, the official Russian media watchdog). In August 2017, the FSB demanded that Telegram hand over decryption mechanisms – something that the founder Pavel Durov has refused to do. The company was then fined RUB 800.000 (EUR 11.500) in December 2017 for non-compliance with the law. The fine is the first administrative punishment, but a continued refusal to meet the demands could lead to a block of the messenger service in Russia. For Durov, clashes with the Russian authorities are not anything new – he is a controversial figure in Russia and an eager advocate for freedom of speech and the right to privacy. He is best known for the creation of the popular Russian equivalent to Facebook, VKontakte, but was squeezed out of the company back in 2014 – allegedly because he refused to play ball with the authorities. Durov is not alone in the struggle. He has allied himself with lawyers from Agora, a Russian human rights group, and besides appealing the case in Russia, they have taken it to the UN as they believe the Yayovaya-demands infringes freedom of speech. In addition, the Russian NGO Roskomsvoboda has launched an online campaign called “The battle for Telegram” in support of the company. From the opposed point of view, the mainstream Russian media have attacked Durov in order to mobilize popular support against Telegram and portray the founder as being unpatriotic, anarchistic and favoring terrorists. Even though the Yarovay-law is controversial (over half a million people have signed a petition against it), it is ratified. As the ball is now rolling, it is thus questionable how Durov would manage to avoid compliance now that his company has been targeted. How to catch a terrorist or what? The Russian security agencies ascertain that terrorists used the messenger service in the St. Petersburg metro attack in April 2017 and that the application is the top choice for terrorists due to the high level of encryption. They want the decryption mechanisms in order to catch jihadists and other possible terrorists. Even if Telegram should abide the law and hand over decryption mechanisms, it is doubtful that it will enable the FSB to more successfully catch terrorists as proclaimed, since deviant actors, wanting secrecy can switch to other messenger services offering encryption. Perhaps the Russian authorities think to erase that option eventually by making all companies comply with the Yarovaya-demands; however, that seems somewhat naive and unrealistic. Then what is the purpose of the case against Telegram? It is suggested that the real targets are Facebook, Twitter and the other big international players, and that Telegram with its ‘mere’ 10 million users in Russia is to be made an example of. Just last year, the social media platform LinkedIn was blocked in Russia for non-compliance with the law on data localization; an event which coerced Facebook, Apple and Twitter to consent to the regulations after years of defiance. It is likely that the Russian authorities are reapplying a previous successful method to make the big companies submit. Russia is not the only place where Telegram is under pressure. The service was recently partly blocked in Iran as Durov refused to accommodate the Iranian government’s demands regarding regulation of the service’s channels in light of the ongoing mass demonstrations. The messenger service is very popular in Iran with around 40 million users and Durov has previously been able to avoid blockage by obliging the government in certain cases without compromising the company’s values. Durov has voiced the company’s policy regarding governmental interference: “We consider freedom of speech an undeniable human right, and would rather get blocked in a country by its authorities than limit peaceful expression of alternative opinions.” And even if one admires his efforts to stand by his ideals and convictions, it seems that the battle will be lost against the governmental desires for control over information. What will happen to Telegram in Russia is unknown at this point. However, FSB’s persistence (taking into account that the Russian authorities want to make the case exemplary) against Durov’s consistent resistance will possibly result in a blockage of Telegram in Russia. With more than a 100 million monthly users worldwide (presuming that Iran’s block is only temporary), the messenger service will be able to cope. However, it will create a strong precedent for how privacy and encryption are treated henceforward – both inside and outside of Russia. Previous Entry:Capitalizing on Insecurity – Who is left when no one else wants to do the job? Next Entry:Ten years after: Is Kosovo an inextricable knot? Anders Bjørn Larsen is a young Danish professional and holder of a M.A. in Eastern European Studies (Russian language) from Aarhus University. His interests revolve around all-things-Russia, ICT and security – and especially the interconnection between them. He is an active member of the YATADK research team.